There are various ways and tools to make perspective guide. 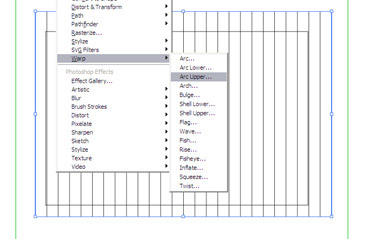 In this tutorial we will learn how to make perspective guide with Adobe Illustrator. Draw a vertical line on left of the canvas. Then duplicate the vertical line and move the duplicate to the other side of the canvas. Check the alignment before proceeding to the next step. Use the Blend tool to make more lines in between both lines. This tool is also available on menu Object > Blend > Make. After selecting the Blend tool, click the left line and then the right line. You will see a shade of grey colour on your screen. To adjust the Blend Option, navigate to the menu Object > Blend > Blend Option. 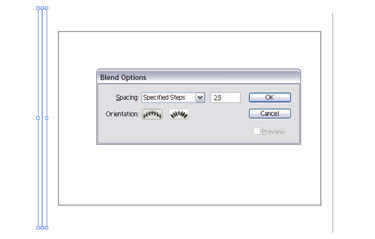 Change the Blend option as shown below. To create a vanishing point to the lines e created, navigate to Effect > Warp > Arc Upper. 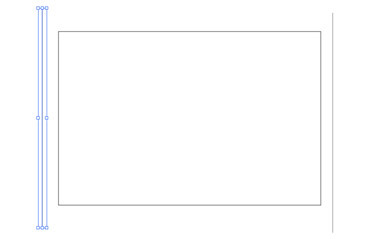 Change the option to match the image below. 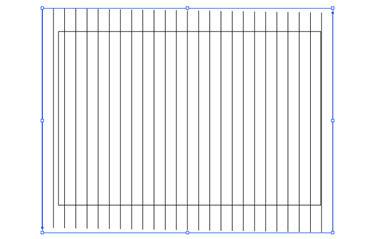 Make horizontal lines at the bottom and a second line on top of the bottom lines. Match the width with the vanishing point lines. Draw the third line, but this time the distance is shorter than the distance between the first line and second line. Draw the fourth lines with shorter distance. Select Blend tool, click line 1 to line 4. Change the Blend option to Specified steps 10. Feel free add as many steps as you want. 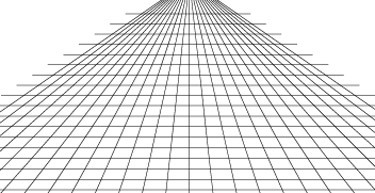 In the perspective guide we created, we can scale the vanishing and horizontal lines. 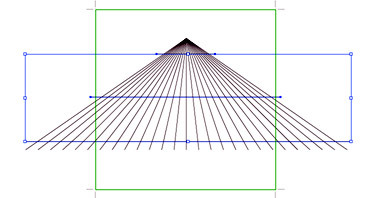 You can move the vanishing point to left and right using Effect > Distort & Transform > Free Distort. Want to make another vanishing point? 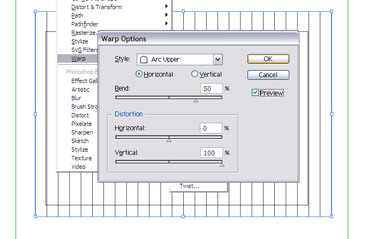 Just duplicate the image, and change the Free Distort option.